2) You will be fiercely protective of this tiny, unknown little human from the get-go. Like, momma bear fierce. Like, (possibly) a tiny bit unreasonably protective. I have actually confronted strangers about smoking by the entrance to a building. I wish I could say I was polite, but I pretty much shrieked at them that they were damaging my baby. I’m not proud of that moment. And it wasn’t the first time I lost my sense of social norms during pregnancy. But it was pretty spot-on for how consumed you feel about keeping your little one safe. 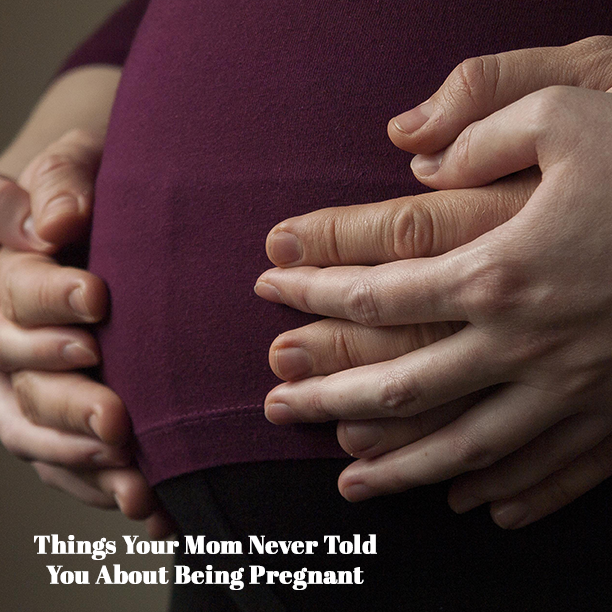 3) Your body never goes back to its pre-pregnancy state. There is no amount of careful eating or exercise that will entirely remove the evidence that a human grew inside you. Those stretch marks and that squishy mid-section are evidence that our entire universe has changed. Yes, I’d like to get the squishy part a bit smaller, but it also reminds me that my body did a pretty incredible thing and it is allowed to look like it performed a mighty feat. Becoming a mother is the singularly most transformative experience we go through. It’s okay if there is a learning curve. Of course we don’t know how to mother—we’ve never been a mother before! Or a mother to two kids. Or a mother to three. You’ll figure out the important stuff, I promise. Trust your instincts. And call your mom–she’ll know what you mean.